Synopsis: “Above all else, though I try not to think about it, I know which life I prefer. And every night when I Cinderella myself from one life to the next a very small, but definite, piece of me dies. The hardest part is that nothing about my situation has ever changed. There is no loophole. Sabine is a unique 18 year-old with two lives she ‘Shifts’ between every 24 hours. In Wellesley, she is a straight-A prep school kid with a charming life and the perfect boyfriend. At midnight, she Shifts to her life in Roxbury where her family lives in a run-down house, attempting to make ends meet. In Wellesley, she has the perfect life. In Roxbury, she finds the perfect love. For as long as she could remember, Sabine has been living two lives – but all she wants is the chance to be normal. Prior to the where her story begins, she never thought it was ever possible to live one life as physical impacts that occurred in one body transported to the next. So if she killed herself in one life, she was dead in her other. This all changed when she broke her wrist tripping down the subway stairs in Roxbury. Sabine wakes up in Wellesley with no form of injury, something that’s never happened before. Scared and excited by this prospect, Sabine embarks on a series of ‘experiments’ to prove that something had definitely changed. And if these tests succeeded, she would finally be given the chance to live one life normally. I thought this concept was definitely something I’ve not come across before in the young-adult section. I’m the type of person who’ve lain awake at night, pondering the exact same questions that have been raised within this novel. What really happens to us when we die? Do we reset and live the same life again, or do we reset but in a different life? Are there other ‘me’s’ alive out there in an alternate universe – a different Earth that is currently occurring on the same timeline. And one of the most debated questions of all – do we all have a soul mate? While Between the Lives isn’t going to answer any of these questions in a logical and scientific manner, we can lose ourselves for some time imagining that the brief answers that Shirvington provides might actually be true (as unlikely as it may be). While you’re not going to find answers to those mind-boggling questions, you are able to lose yourself in the idea. And essentially, isn’t this why we turn our attention to novels? Because they provide us with an alternate world within our imaginations for escapism. And a good story engulfs you within an idea that you probably wished was true. While I do not envy Sabine’s predicament (no one wants to live everyday twice, especially having to go through school twice), I am jealous of the idea in where she’s able to experience something no one else can. I’m sure a lot of people wonder what their lives would be like if they were born to different parents and a different world. To be able to experience life as a prep-school kid and then life as a rebellious teen. I’m sure everyone has wondered at least once what it would be like to be your own complete opposite. Sure, it’ll probably scramble your mind up, but we’ve all wondered. What I want to praise Shirvington for in Between the Lives is her ability to write a constant personality for Sabine. For a girl that’s living two lives with very distinct personalities in each, Sabine’s true personality doesn’t alter all that much. I’m glad it was very consistent because it would have been awful as a reader to be disgusted by her in one life but love her in the other. You just can’t root for a character when you hate half of her. Of course, that would essentially make the choosing process too easy if the reader was rooting for only one of Sabine’s two lives. I’m also glad that Shirvington does not stick to the stereotypical personalities for each group of Sabine’s friends. It was such a breath of air when the preppy girls aren’t portrayed as ‘dumb’ and ‘sluts’ and her rebellious friend isn’t a drug or alcohol addict. I also thought the plot was believable enough and that the decision between the perfect life and the perfect love was important enough for Sabine to spend countless hours worrying over. Sometimes you find a protagonist wasting time trying to make a decision that makes no sense. This does not happen in this story because the decisions Sabine makes causes a lot of impact – not only on herself but the people around her. Would you choose a life of riches that come with two brothers who dislike you or a life of squalor with a sister that adores you to death? And would you choose a perfect life with a boy you only know you should be with, or a heartbroken life with a boy that you love? While we may have our own answers, this book makes you question them. I must admit that I had liked Dex up till the very end. Did not see that little twist coming. With Ethan however, I must say I never really felt that supposed spark between him and Sabine. I understand his actions are sweet, but it needed more spark. It wasn’t until the last chapter of the book that I felt the spark between them. While the ending was predictable (a happy ending to make you question life a few more times), I can’t say I didn’t enjoy it. After crying my way through the last few chapters, it was definitely an ending I had hoped for. While I’m not going to give the ending away, I honestly believe that something like that could really happen. As silly as this may sound, when I met my boyfriend for the first time, I just had an odd feeling that we were compatible with each other. And one and a half years later, that spark is still there. As the last chapter suggests, sometimes the universe just works properly. While I really enjoyed this book, I just couldn’t get past all the self-harm acts performed by Sabine. I know she had to perform these tests to prove her theory, but her irrational acts seemed to have been done without thought. I thought some of the experiments were a little wild considering she was unsure of the outcome and could have potentially ended both her lives. I wish for someone as smart as her, she would have spent more time planning rather than rushing into the thick of it. 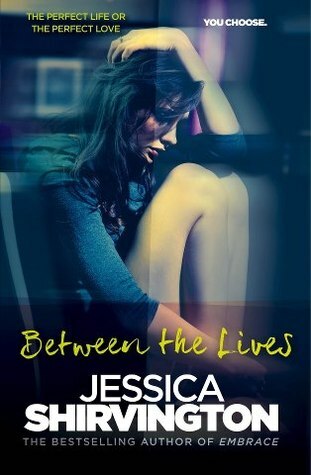 Overall, it was a very exciting read and I will definitely be looking out for other books by Jessica Shirvington!